The teammates of a teenager who died during a summer football practice last summer on Long Island want to sue the school district. They say it has left them grieving with no support. David Ushery reports. His family filed $15 million lawsuit last year, citing negligence by the Sachem Central School District and Sachem East Touchdown Club Inc. The teammates of a 16-year-old New York boy who died when a 400-pound log fell on his head during a preseason high school football drill on Long Island last year will announce Wednesday that they are filing a notice of claim, saying school officials have abandoned the team and players still in need of therapy and services. Attorney for the players, Kenneth Mollins, held a press conference Wednesday morning with the teammates of Joshua Mileto. Mollins claims they were emotionally affected by Mileto's sudden death. Mileto was carrying the 400-pound log with four other players on the East Sachem High School football team when it somehow fell and killed him, police said. Detectives preliminary deemed the death to be accidental. The Aug. 10 tragedy led to the removal of the high school's head football coach and an assistant. But students on the team say they were promised mental health counseling and support. That lasted two sessions, then abruptly stopped -- but is badly needed. "My anger's a lot worse. It's out of control now," said teammate Nick Paolucci. "I just get really bad anger outbursts, and I barely sleep. I wake up with panic attacks every night." "This is the last place I wanted to be, the last thing I want to put my son through," said father Michael Paolucci, who along with other famiies, said they've had to spend their own resources to get help and that the school district's cold shoulder is an attempt to avoid more liability. Matt Kmiotek, a former team captain who was also carrying the log that day, said, "I think the school decided to suddenly stop helping us, because they really felt it wasn't their fault and they didn't want to be involved with it." Dr. Kenneth Graham, superintendent of the Sachem Central School District, said in a statement, "The health, safety, and mental well-being of all our students and staff continues to be our top priority. In the aftermath of the horrific events that took place during the August 10, 2017 tragedy, the district enacted steps to provide in-district and out-of-district support services to our student body and staff. Counseling services are available on an on-going basis for anyone in need. "The district has not yet been served with the complaint and, following with consistent protocol, the district will refrain from commenting on pending litigation." 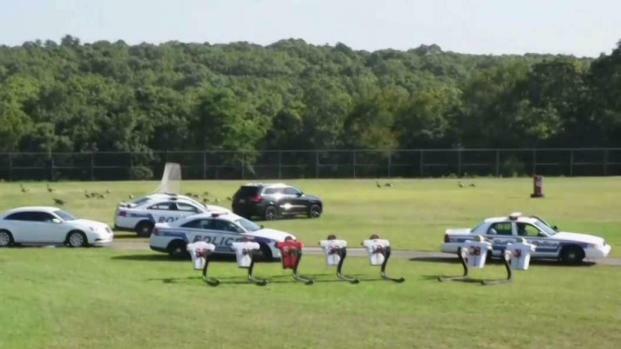 The Mileto family filed a $15 million lawsuit last year, citing negligence by the Sachem Central School District and Sachem East Touchdown Club Inc.
A funeral was held Tuesday for the Long Island teenager killed during football practice. Greg Cergol reports. "There was no thought or consideration as to what could, and unfortunately did, happen if the boys lost control of the log or it was dropped for any reason," Jay Dankner, the attorney representing Mileto's family, said. "The recreational and sports training experts we have contacted have unanimously said that it was negligence on the part of the school and football team to have allowed these boys to run this drill and even more reckless to not have supervised or controlled it in any way." Dankner said while some members of the coaching staff may have been nearby, he contended the players did not receive specific training or supervision on how to perform the drill. Mileto, a wide receiver, was 5-foot-6, 134 pounds. "There's so much potential for things to go wrong that I would really want people to think twice before doing something like that," said Douglas Casa, executive director of the Korey Stringer Institute, which works to improve safety for athletes. Dankner said the family will be seeking $7.5 million for the boy's pain and suffering and $7.5 million for his death. 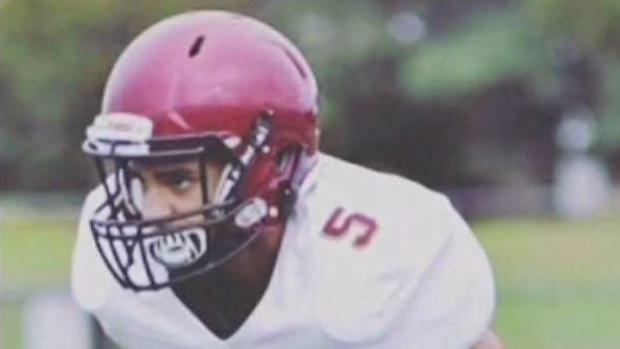 An 11th-grade student on Long Island has died after suffering a serious head injury during an off-season football practice. Greg Cergol reports.